Happy 68th birthday Mick Taylor! 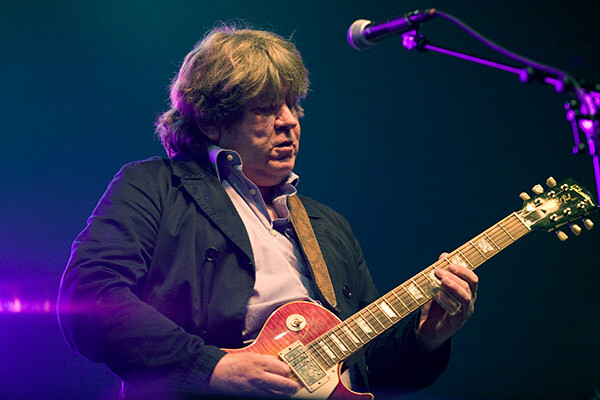 Any fan of classic rock needs no introduction to Mick Taylor. The legendary guitarist first made his mark in the 1960′s playing with John Mayall’s Bluesbreakers as the successor to Eric Clapton. As if this wasn’t enough, Mick Taylor would eventually go on to replace the late Brian Jones in The Rolling Stones. He would leave the Stones in 1974, but he was a big part on some of their most seminal albums, such as Let it Bleed, Sticky Fingers, and Exile on Main Street. Over the years, Taylor would carve out his own solo career, but would continue to maintain contact with the Stones, eventually being present for the band’s induction into the Rock and Roll Hall of Fame in 1989. In 1983, Taylor joined Mark Knopfler and played on Dylan’s Infidels album. He also appeared on Dylan’s live album Real Live, as well as the follow-up studio album Empire Burlesque. In 1984, Dylan asked Mick Taylor to assemble an experienced rock and roll band for a European tour he signed with Bill Graham. Ian McLagan was hired to play piano and hammond organ, Greg Sutton to play bass and Colin Allen, a long-time friend of Taylor, on drums. The tour lasted for four weeks at venues such as Munich’s Olympic Stadium Arena and Milan’s San Siro Stadium, sharing the bill with Carlos Santana and Joan Baez, who appeared on the same bill for a couple of shows. His take on Bob Dylan’s Blind Willie McTell is faithful but playful, for instance he incorporates snippets from All along the Watchtower in the middle of the song. But it is his fantastic guitar playing that is the reason I chose this as todays video. There are not many guitarists in his league. Fantastic! Mick Taylor is one of the greats. The Stones were never better than when he was on hand. It’d be great to see him and Dylan re-connect.